Here's a sneak peek at another polish in my Sonoma County themed polish collection. It is black and white and 'read' all over, so naturally I am naming it after a local newspaper. I have used it as an accent nail in this manicure. One coat of Sonoma County Gazette over the ring finger. 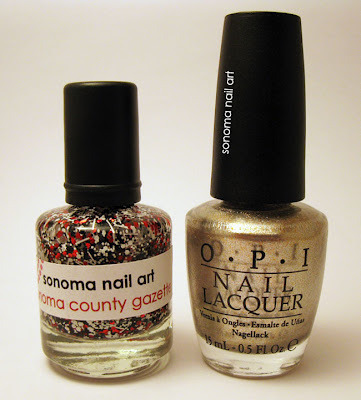 Here are the polishes I used in this mani: Sonoma County Gazette and OPI Designer ... De Better. This was a good combo for a mani I couldn't spend a lot of time on. It is a really fun combo! Thanks Rach! 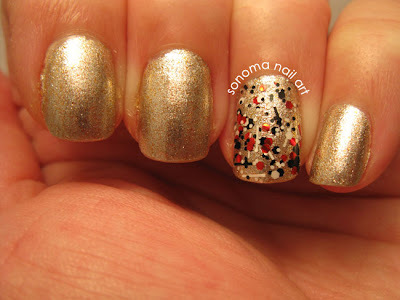 Hello your county gazette glitter polish is very pretty! Thank you starification! That means a lot to me!! Im drooling for this! Spevtacular! Love it!!! I can't wait until you open up shop! Thanks Amber! I am anxious to open too! I would open earlier but I have to get more polish base in before I do. 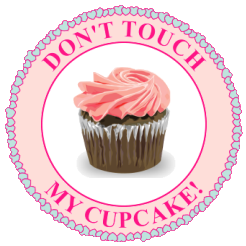 May seems like forever away right now, LOL! this is the one i'm most excited to get my hands on! come on may!